The Bharat Ratna will be conferred after a gap of four years. Former President Pranab Mukherjee, Bharatiya Jana Sangh leader Nanaji Deshmukh and singer Bhupen Hazarika will be conferred the country's highest civilian award Bharat Ratna, an official statement said Friday. The Bharat Ratna will be conferred after a gap of four years. Former Prime Minister Atal Bihari Vajpayee and founder of Banaras Hindu University Madan Mohan Malviya were given the award by the Narendra Modi government in 2015. Mukherjee, fondly known as 'Pranab Da', was the president between 2012 and 2017. Prime Minister Narendra Modi said Mukherjee is an outstanding statesman of present times who has served the nation selflessly and tirelessly for decades, leaving a strong imprint on the nation's growth trajectory. "His (Mukherjee) wisdom and intellect have few parallels. Delighted that he has been conferred the Bharat Ratna," Modi tweeted. "He (Deshmukh) personifies humility, compassion and service to the downtrodden. He is a Bharat Ratna in the truest sense!," he tweeted. "From them radiates the message of justice, harmony and brotherhood. "He (Hazarika) popularised India's musical traditions globally. Happy that the Bharat Ratna has been conferred on Bhupen Da," the Prime Minister tweeted. 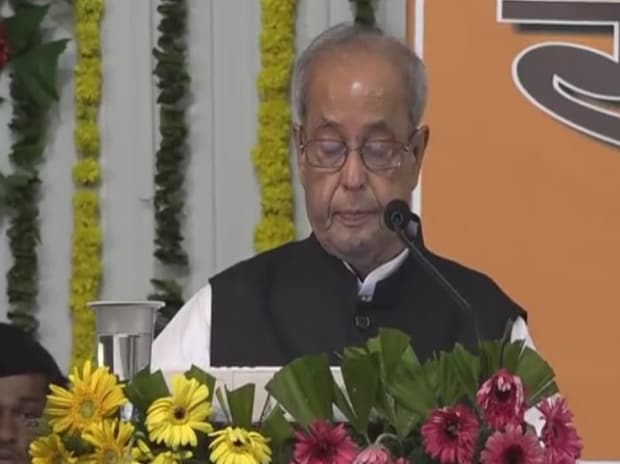 Expressing gratitude over the award, Mukherjee said "I have got more from the people of our great country than I have given to them". "It is with a deep sense of humility and gratitude to the people of India that I accept this great honour #BharatRatna bestowed upon me. I have always said and I repeat, that I have got more from the people of our great country than I have given to them," he said in a tweet. Mukherjee became India's youngest finance minister in 1982 at the age of 47. From 2004, he went on to head three crucial ministries - External Affairs, Defence and Finance - and became the first occupant of the Rashtrapati Bhavan to have this distinction. Deshmukh was associated with the Rashtriya Swayamsevak Sangh since 1928 till his death in Satna, Madhya Pradesh in 2010 at the age of 94. He was known for starting the chain of RSS inspired schools throughout India. A recipient of the Sangeet Natak Akademi Award (1987), Padmashri (1977), Padmabhushan (2001) and Padma Vibhushan (2012-posthumously), Hazarika was also awarded with the Dada Saheb Phalke Award in 1992. With Friday's announcement, the number of people who have received the Bharat Ratna so far has gone up to 48.